What's Better for Creative Real Estate Investors — an IRA or 401k? More and more creative real estate investors are switching to the individual 401k and loving their new plan. 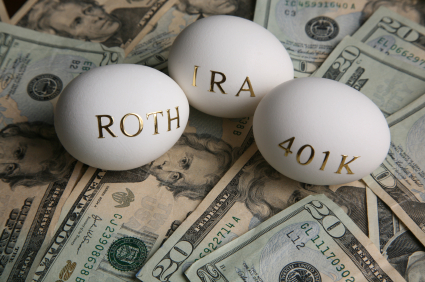 The Self-Directed IRA has been the standard vehicle for alternative investments in retirement accounts. As many creative real estate investors know, mutual funds aren’t the only investing options for your nest egg. You can buy real estate, tax liens, notes, and even become your own private money lender. Most people set up a Self-Directed IRA with an IRA custodian, then have learned to jump through the hoops that go along with it. But did you know that there is a better way? The Checkbook: With an individual 401k, you are creating a 401k plan for your own business. You can elect yourself as the administrator. The administrator (you) is the one that write the checks. Having the checkbook is much more efficient than going through the custodian intermediary. For example, if you find a fantastic deal and want to get it under contract with earnest money on the spot, you can do that with the solo 401k. With the self-directed IRA, you have to wait for your custodian to cut the check, which could cause you to lose the deal. No UBTI: With both the self-directed IRA and the solo 401k, you can use borrowed money to help with the purchase of real estate as long as the loan is non-recourse. However, with the solo401K, you will avoid the Unrelated Business Taxable Income (UBTI) issue that is triggered with a self-directed IRA. Higher Contributions: The total contributions to a solo 401k can be larger per year than a self-directed IRA. Plus, there are no income limits for Roth contributions. Mistake Forgiveness: If you do a prohibited transaction, you have a chance to adjust your mistake in an i401k. With a self-directed IRA, a prohibited transaction usually ends up in a liquidation of the plan. And a liquidation has significant penalties and tax consequences. Long-Term Cost Savings: The fees to set up an i401k may be more, but the costs to maintain it are much less than having to pay a custodian each year. IRA custodians charge as a percentage of the amount in your account, so the more successful and larger your self-directed IRA becomes, the more you have to pay. With the solo 401k, the nominal ongoing fees to maintain it typically just deal with keeping your plan up to date with the right paperwork. Be Your Own Bank: The feature that attracts a lot of people to the individual 401k is that the ability to borrow up to $50,000 from it. And you can spend that borrowed money on whatever you want. Just be sure to you pay yourself back. You may be thinking, “How come I’ve never heard of this?” Four reasons. First, it only come into existence in 2001, and a lot of people don’t know about the solo 401k. Second, financial planners and advisers typically stick with what they know and many aren’t educated on the i401k. Third, IRA custodians can earn more fees from self-directed IRA accounts since individual 401ks require less interaction. Finally, the solo 401k is only an option for people who have their own business. And that’s important to know–the requirements. Operate a Business: You must operate a business, since this is a 401k plan for your company. You don’t need to incorporate or file documents with the Secretary of State to have a business. It can be as simple as a sole proprietorship or partnership, but you at least have to have a small business, and that’s exactly what most creative real estate investors have. Some Earned Income: Your income in this business must have at least some earned income (or the intent, if you just started it), even if the majority is passive income from rental property. Most creative investors can generate some earned income from a wholesale, an assignment, or a flip. No Full-Time Employees: Although you can have 1099 independent contractors as well as part-timers, you can’t have any full-time employees outside of a spouse. Most creative investors fit this bill, as well. Yes, there are a few drawbacks to be aware of, too. Competent Counsel: Very few advisers or IRA custodian companies really have experience and a deep understanding of how to correctly set up and educate creative investors on the nuances of real estate investing in a solo 401k. Opening a Bank Account: Your favorite bank where you hold all of your other accounts may not be able to open an i401k bank account. Some bankers will look at you with cross eyes when you try to open one. But if you are a creative investor, you are probably used to people being puzzled by your out-of-the-box thinking. Obtaining Title Insurance: Getting title insurance issued on solo 401K purchases can sometimes be a challenge. Title insurance underwriters don’t always know how to handle them. Self Discipline: Perhaps the biggest drawback to the i401k is also its biggest strength, giving you the purse strings and having no person in the middle to hold you accountable. Outside of borrowing from it, you can’t use your retirement money for personal use, even though you might have the checkbook in your possession. In fact, commingling personal with retirement funds on any investment is not allowed. So if you have no self discipline, perhaps you are better off letting a third party custodian protect you from yourself. The best way to overcome these drawbacks is to work with someone who has significant experience in setting up and administering these plans for creative real estate investors. They should be able to set it up right with the proper paperwork, help you open the bank account, provide materials, so you can educate title insurance underwriters on solo 401ks and assist you along the way, so that you avoid any mistakes. Much like any aspect of creative real estate investing, you have to work with the right people. Investing in your real estate business using retirement money can be a great opportunity for you. The individual 401k might be a better option for creative real estate investors, but everyone’s situation is different. For example, some self-directed IRA people don’t want to change and to acquire checkbook access, they set up an LLC in conjunction with their IRA. This technique works, but the costs of the set up and the annual fee for an LLC can be costly, and you still miss out on all the other great benefits of a solo 401k. More and more creative real estate investors are switching to the individual 401k and loving their new plan. Thanks for reading, and if you have any questions, feel free to comment below. Very informative article. Thank you for revealing the secret of the solo 401k. How much is the typical set up fee and maintanebce fee for solo 401k ? Where/Who is the Someone(s) in setting up and administering these Plans??-Thanks-Stewart. What banks are companys can set the investment IRA up???? Thank you very much for this valuable info. I was just speaking with my realtor about self-directed IRAs, debating on taking that route to invest in rental property. Solo 401k seems to be more than just an alternative to self-directed IRA, sounds like a better option all together. Do you have any suggestions where to begin searching for knowledgeable companies that has the experience in handling i401ks, or maybe the names of any you have had some dealings with? Thank you again for the education! where can i set up a solo 401k and do custodians no how to set it up? If I have a 401k through my current employer, but I’m in the process of creating my own real estate business, can I create a solo 401k by transferring the funds I currently have in my regular 401k plan through my current employer? This is indeed very interesting & intriguing, but I want to know more about it. Details, Details, Details is my key. Knowing which banks, investment institutions, credit unions, etc. that are capable of participating in this would also be very helpful. I have some minor resources, but I need major help in working through all of this business. However, I am still a quick learner I am pretty sure. I am interested in getting answers to questions posted by Eileen, Stewart and Keem Luv. Thanks. Keem Luv: Yes, you can establish a self-directed account (IRA or Solo 401k) by transferring money from an existing retirement account. One again, I’m sorry if this comes off as spam! Not my intention, and you can search for similar materials from Entrust’s competitors to complete your due diligence (just google “self-directed IRA” and a bunch of them will pop-up). It seemed relevant, though, and it’s so rare that I find people who are actually interested in learning more about my industry… lol. Best of luck to everyone! However, when it comes to the IRS and your retirement nest egg, the do-it-yourself option may not be the best route. Mistakes aren’t good and the right adviser can ensure you avoid the pitfalls. For the people I mentor, as well as friends and family who ask me where they would go to set up a solo 401K, I recommend Freedom First 401k. Their site has some great resources and materials too. The owner, Dave, has forgotten more about the solo 401k than most people will ever know. He has been a real estate investor for 30 years too. He’s the best, but he’s not the cheapest route. If your retirement account is really small, his services will probably be cost prohibitive. Unfortunately, my research on the matter has shown that there really isn’t much of an in between. It’s either do-it-yourself, or go full service with a group like Freedom First 401k (and there are probably others besides them, but I haven’t found them yet…please make a post if you have other recommendations!). Most other companies that offer to set up the solo 401k for you, are really Self Directed IRA custodians that add the i401k to their list of services but they aren’t really knowledgeable so you are about as well off doing it yourself as paying on of those groups. You need a company that specializes in them, as opposed to offering them as an after thought. Sounds Good-I’ll check them out!-Thanks-Stewart. Check out my comment above. Those resources should put you on the right track. Just an FYI…beware checkbook control IRA type solutions…like this. Lots of different opinions on whether they are viable in eyes of IRS and whether they’ll be viable in the future (experienced lawyers in IRAs and self-directed IRAs will differ on this). IRS is pretty specific about having a third-party custodian/trustee…these types of arrangements seem intent on side-stepping the IRS intent. Do your own research – especially with the providers Phil listed above. Check to see to see their track record/how long they’ve been in business. I have to agree with the admonition for caution as it relates to the strategy of an IRA owning an LLC of which the IRA owner is the manager in order to gain checkbook control. My understanding is that it is primarily based on a tax court case Swanson Vs. Commissioner clear back in 1996. To my knowledge there have been no land mark, substantial authority tax court cases since that time. I think the potential interest of the IRS will not be to test the entity ownership concept but rather the actual management of the LLC by the IRA owner. Unfortunately, there is no forgiveness in the tax code for IRA violations. Which goes back to, once again, the superiority of a well crafted solo 401k. interesting, and new to me Phil. are you personally using the solo 401k? TD bank will set you up with a solo 401k for free. Then you just open an account using the documents. Very interesting post. I’ve been managing my own self directed IRA real estate plan for several years now, and, as you stated, have learned how to “jump through the hoops” associated with it. I found your advice here particularly helpful, thank you!